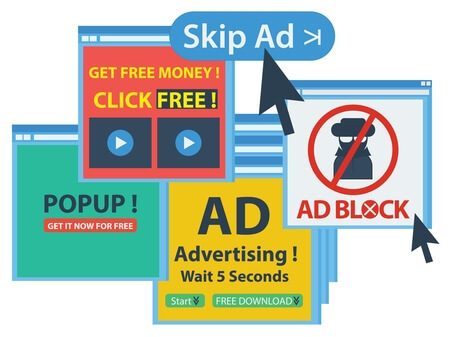 Research carried out by OnePoll on behalf of Broadband Genie has found brands have a lot to lose when adverts appear next to inappropriate content. In an attempt to reach as many eyes as possible, online advertising networks place ads all over the internet, from videos and podcasts to banners and pop-ups displayed on sites. But this scattershot approach can have negative consequences if the content on the page is considered inappropriate. What counts as inappropriate content? In our poll of 2,000 people around the UK we asked this very question. While only 51% considered bad language to be inappropriate, the majority view racism, sexism, extremism, violence and explicit sexual content as unsuitable for advertising a product or service. It’s unsurprising that most people aren’t impressed seeing ads next to such things, but we’re slightly shocked that no category received more than 70% disapproval. There is apparently a significant minority of people who don’t take issue with ads showing up alongside even the most distasteful content. The problem for companies advertising online is that they may not get much control over where adverts appear, and it may not be noticed until complaints start rolling in. But respondents to our poll spread the blame pretty evenly across the web site showing the content, the advertising network pushing the ad and the brand being advertised. What should really concern the companies paying for these ads is 75% said they would be discouraged from purchasing a product or service if it was seen next to inappropriate content. That’s a big incentive for both the ad networks and companies paying for the ads to put extra effort into controlling where they appear. For their part, publishers are taking steps to improve matters. In March, Google announced stricter controls, launching a system for external firms to verify advertising standards, and providing companies with additional content filters. And in the wake of the furor over fake news after Brexit and the US election, Facebook has been making it easier for users to report misleading articles, and has been tagging posts as “disputed” using third-party fact checkers.